Hormel Health Labs Thick and Easy Thickened Dairy Drink is formulated for patients with Dysphagia (have difficulty swallowing). 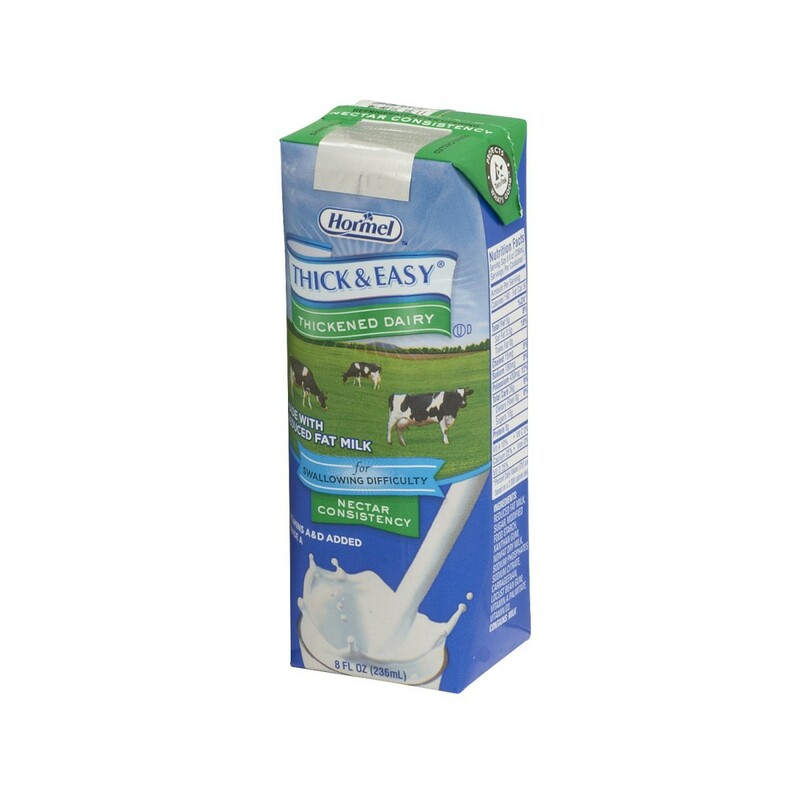 Each 32 ounce carton is easy to handle, has an easy-to-puncture hold at the top and is make with material that is easy to store in any refrigerated area. The drink is ready-to-serve right out of the carton without any mixing required. The cartons require no refrigeration until opened and can be served chilled or heated. Hormel Thick and Easy is made gluten free to avoid allergic reactions.